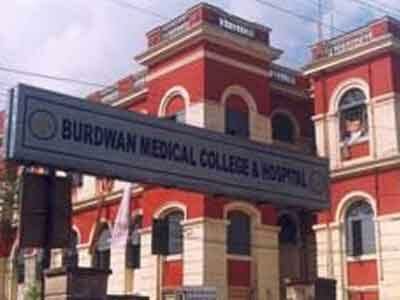 Burdwan : Four people were arrested for rowdyism and vandalism at the Burdwan Medical College and Hospital in Burdwan district following the death of a relative, which they blamed on neglect by attending doctors. The police said 35-year-old Marufa Bibi of Nanoor in Birbhum district was yesterday referred to the hospital from a local hospital in her district with acute pain in the stomach. She was administered the anti venum serum when her condition deteriorated, but expired soon after. Deputy director of the hospital Amitabha Saha said that the charge of neglect was untenable since her blood report showed she was bitten by a poisonous snake, only after which she was administered the AVS. On Bibi’s death, her relatives started vandalising the hospital, prompting the police to intervene and arrest four persons. A post mortem would be conducted on the body of Bibi tomorrow to find out the exact cause of her death, Dr Saha said.